This is a great investment for anybody who knows they will be getting into Golf and playing Games more regularly as they will receive all of the needed equipment in one easy to transport bag. Also saving a lot of money if you compare the price to buying each Club individually. Next Golf has designed these clubs in a way which will help beginners learn the ropes and automatically improve their swing technique and other parts of their game without them even noticing. Continue reading to find out what exactly comes with this set and where you some of the positives and negatives surrounding it. Driver- You driver is an important club as it will be the first you use on the course, therefore could destroy your whole game in one shot. This set comes with a great driver that allows the user to get a better shot each attempt. The driver is one of the only two types of woods included in the bag and could become your best friend sooner rather than later. Fairway Woods- You only get one Wood in this collection which could be seen as a downfall by some. This club is the 3-wood and gives users the ability to hit effective shots from anywhere on the playing area. 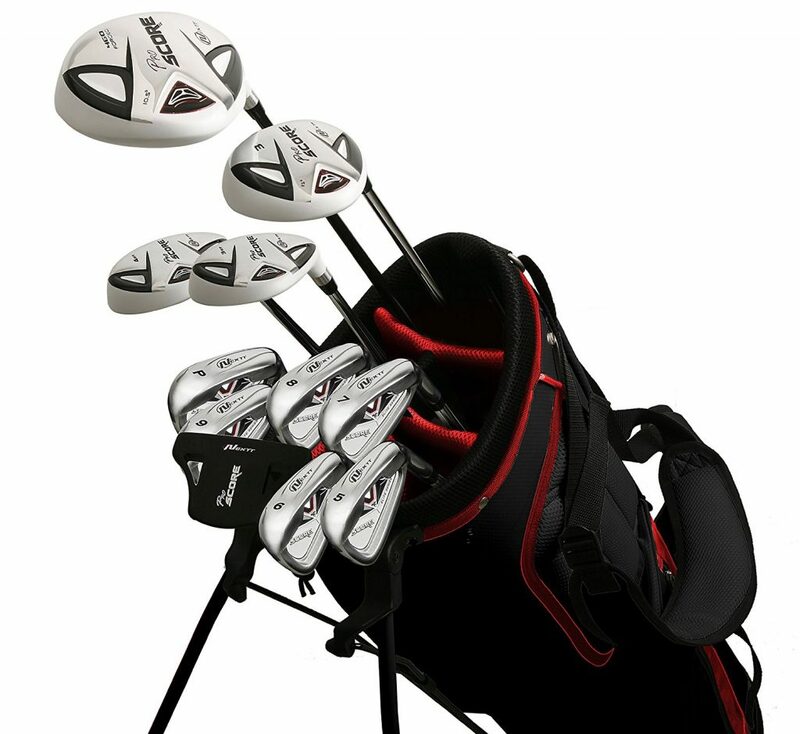 Hybrids– There are two Hybrid Clubs included in this collection both of which are great for helping you out in your moment of need. We have all been stuck in a long patch of grass with nowhere to go and thanks to the hybrids included in this collection you will have the best club for getting you out of that situation. Putters- you only get one putter in the Nextt Golf collection, however, it will be a high quality and precise piece of equipment. We have all got to that final ball had had our putter play up, causing us to lose the game. Nextt has tried to eliminate this problem by including a really good putter that should be accurate from anywhere around the hole. A great collection of clubs for both beginners and people who have played a couple of games of Golf but may want an improvement on their old second-hand clubs. Includes everything a Golf Enthusiast could wish for! Really well priced and for what you get it will be difficult to find a set in a similar price range. You will definitely be getting value for your money should you choose to pick up the Nextt Golf collection. All of the clubs are ideal for newcomers to the game, although there are a couple of better options out there. As a whole, this Bag includes everything you need to get out there and practice your skills. The bag itself isn’t the best quality and breaks easily. Although this isn’t the biggest issue it could lead to extra costs in the near future! When carrying the bag you’ll notice that the shoulder strap is way too small and becomes uncomfortable in no time. 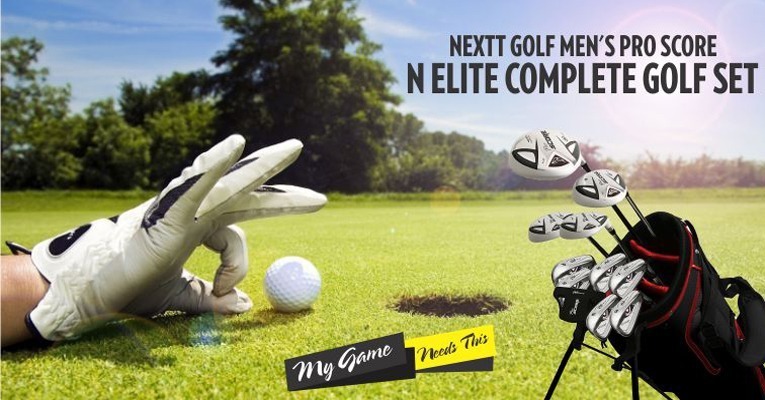 There are so many good options when it comes Golf collections for beginners, the Nextt Golf must be one of the best on the market. Not only is it great for beginners but can be used into the future to improve your game for a long time. These clubs are not exactly cheap and would fit right into most Golf Enthusiasts Bags. Coming in at an incredible price with a wide range of clubs that should last you years of Golf playing this is an amazing deal for anybody who wants to start playing Golf on a regular basis.